Claire L. Evans — The Terraform editor and Yacht singer on the yawning infinite weirdness. 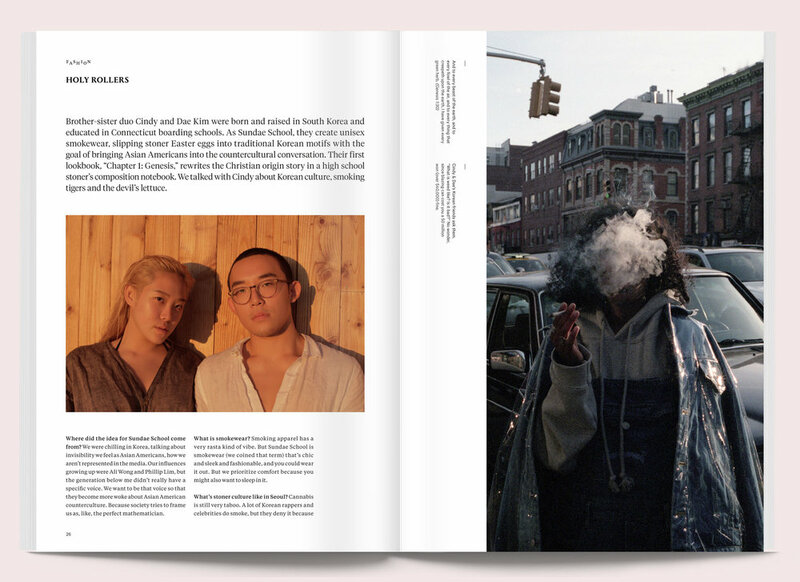 Interview by Fiona Duncan, photographs by Jaclyn Campanaro. 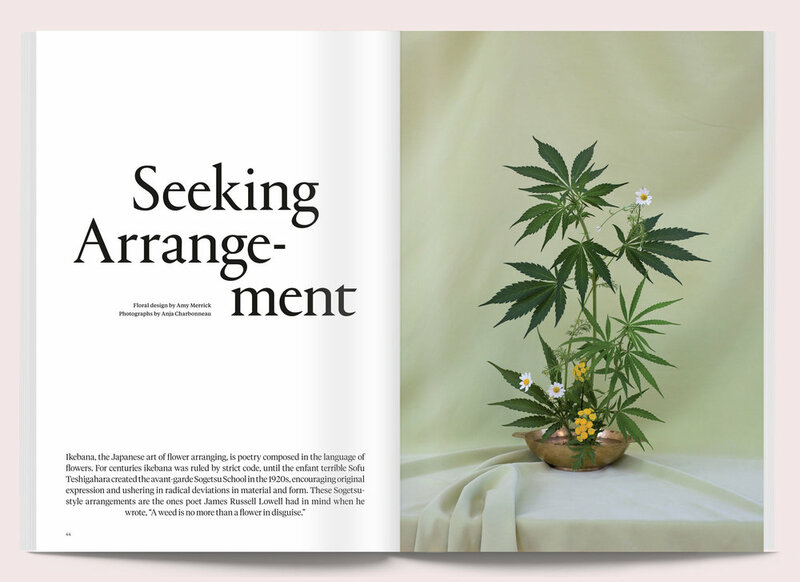 Seeking Arrangement — Weed ikebana in full flower. 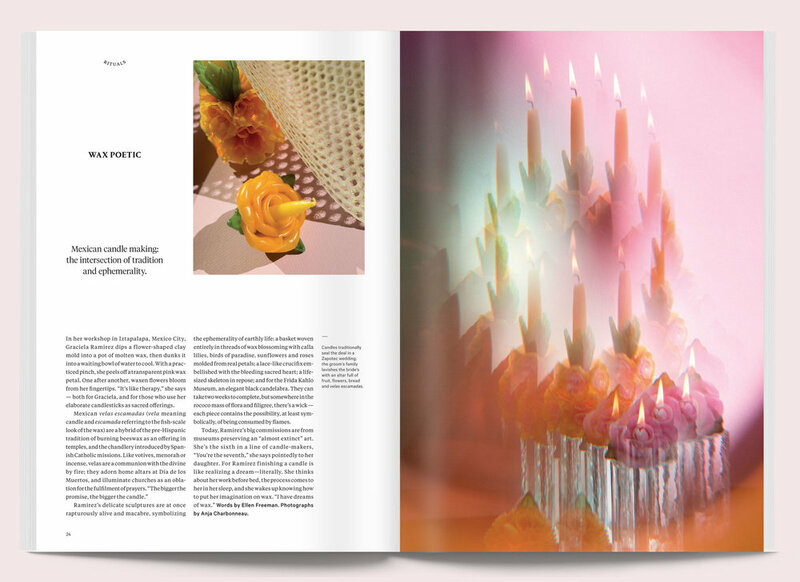 Floral design by Amy Merrick, Photographs by Anja Charbonneau. Counter Culture — Is legalization sweetening the drug deal? Essay by Laura Sullivan Cassidy. Paper Trails — Serra + Woodblock Chocolate edibles in a paper sculptures universe. 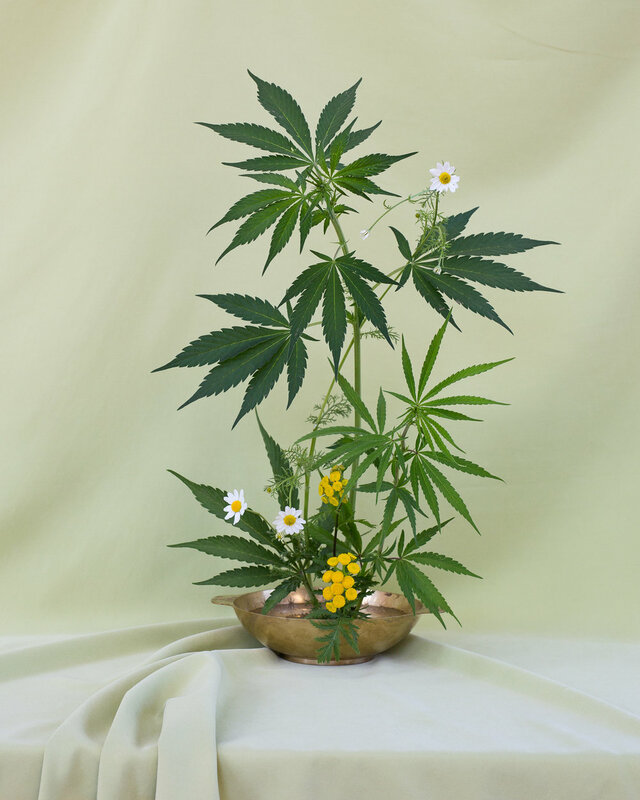 Hail Mary — Cannabis-based alternatives to medicine. Carolyn Gregoire interviews Mary's Nutritionals CEO Lynn Honderd. Luminaries — Reporter, dispensary founder, designer, ice-cream maker: four leading lights of Portland’s pot scene. Profiles by Tahirah Edwards-Byfield. Corita Kent — A screenprinting nun’s joyful noise. Essay by Naomi Zeichner, photos courtesy of the Corita Art Center.